Running is one of the most popularly practiced sports worldwide, providing a widely accessible and relatively cheap exercise option. Running can be both exhilarating and rewarding, with runners experiencing a number of health benefits for both body and mind. 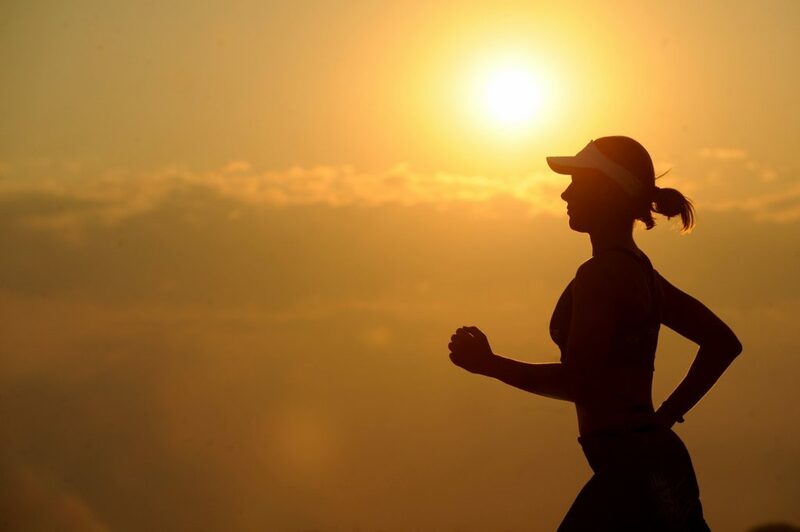 Despite its popularity, running is not without it’s risks. Injuries are common among runners. Some research estimates the incidence of running-related injuries to be as high as 80%. This suggests that the majority of runners will likely experience some form of soft tissue injury at some point in their running career. The most common contributing factor to the onset of injury amongst runners is training overload; pushing yourself too hard without allowing time for your body to adjust. This typically involves a sudden spike in training distance or intensity that the body is unable to tolerate at that point in time. Although this common training error is often the source of the problem, running injuries can manifest in a number of different ways. Having some guidance on gradually building your running practice with a focus on proper form can help runners to avoid pain and injury. Whether you’re just getting started or training for your next marathon, an assessment with a physiotherapist can help you to progress safely and build a satisfying relationship with running. The following is a list of the most common running-related injuries we see at Evidence-Based Therapy Centre, and how you might be able to recognise them. Patellofemoral pain syndrome (PFPS), also referred to as runner’s knee, is arguably the most common running injury. Research indicates that one in five people will experience PFPS each year. PFPS refers to pain in or around the joint between the patella (knee-cap) and the femur, known as the patellofemoral joint. Those experiencing PFPS will typically complain of pain with any activity that places strain on the front of the knee, which may include squatting, kneeling, going down stairs, running, and even prolonged sitting. In their assessment, your physiotherapist will take a detailed history of the events building up to the onset of the pain, and also investigate the aggravating factors of your pain. This allows them to differentiate PFPS from other conditions of the knee. Recent evidence suggests early intervention to be a critical factor in the management of PFPS, and is associated is positive outcomes (Collins et al. 2017). Those experiencing the symptoms listed should seek treatment as a matter of priority to ensure the best outcomes. The IT band is a long, fibrous band of fascia that runs down the outside of the leg from the hip all the way down to the knee. With IT band syndrome, a ‘sharp’ pain is usually experienced on the outside of the knee, and patients will often describe a spot that is particularly sensitive to touch or press. This is the key factor differentiating it from PFPS, which as discussed above is pain generally experienced at the front or around the knee. Typical aggravating activities for IT band syndrome include running (especially downhill) and walking. 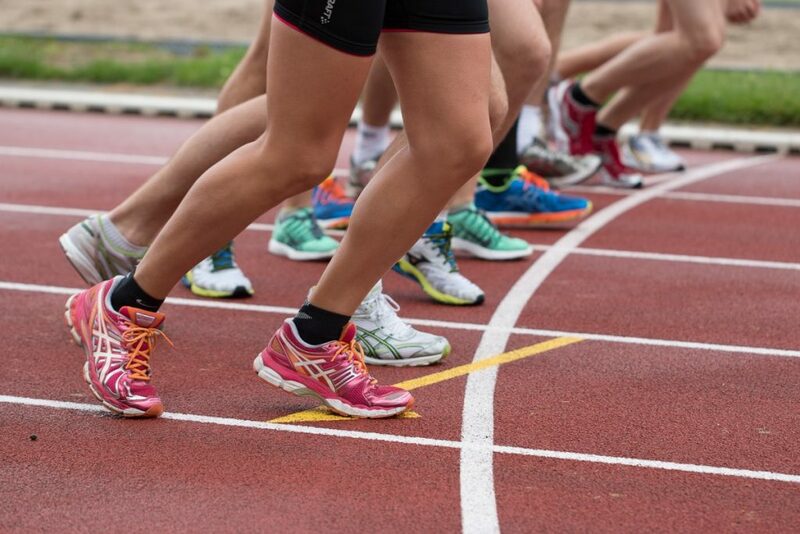 Although there are many tendons in the body that can cause problems among the running population, the Achilles tendon is undoubtedly the most common source of issues. Tendons are strong fibrous structures that connect muscle to bone. The Achilles tendon runs from the calf muscles and attaches to the heel bone. An Achilles tendinopathy, like all tendinopathies, typically occurs when the stress or load placed on the tendon exceeds the rate of tissue repair and regeneration. Runners usually describe a gradual onset of Achilles pain during, immediately after, or even 24 hours after running. This can be frustrating for runners as it can be difficult to identify a pattern to the pain. The tendon may appear swollen and thickened just above the heel bone and it will generally be painful to squeeze. Other aggravating factors aside from running may include going up and down stairs, stretching the calf muscles, or walking on tip toes. Tendinopathy can be divided into a number of overlapping stages. In the initial reactivestage the tendon may become swollen and painful, usually as a result of a rapid increase in activity or training load. It was once thought that this reaction involved inflammation, hence the outdated term ‘tendinitis’(“-itis”, as in arthritis and tonsillitis, refers to inflammation). However, it is now understood that this is not the case and accordingly the term ‘tendinitis’ is no longer commonly used to describe such conditions. Tendinopathy(“-opathy”, referring to disease or disorder) more accurately represents the condition. It is important to note that in a reactive tendon, the structure of the tendon itself remains intact. However, if the reactive tendon continues to be excessively loaded it can enter the dysrepair and subsequently the degenerative stages. The tendon then undergoes structural changes, which impact its long-term capacity to tolerate load. Research suggests that even in the presence of a degenerative tendinopathy, pain alleviation and return to function is possible by strengthening the surrounding ‘healthy’ portion of the tendon. Even so, early intervention is best, as managing Achilles (and other) tendinopathies appropriately at an early stage can prevent degenerative tendinopathy. Achilles tendinopathies can be categorised as either ‘insertional’ or ‘mid-portion’, an important distinction as the management of the two conditions will differ slightly. Moreover, the management of a reactive tendinopathy and a degenerative tendinopathy will also differ, which is why it is important to have it assessed to determine what stage the tendon is likely to be at. Plantar fasciopathy can be described as involving pain and structural changes underneath the foot where the plantar fascia inserts into the heel. Plantar fasciopathy is a very prevalent condition, affecting one in ten people in their lifetime. While it presents similar to a tendinopathy, those with plantar fasciopathy will typically describe pain in the heel and/or foot arch, with pain on the first step in the morning being a signature symptom. This condition is frequently seen among those standing for prolonged periods of time, such as nurses and factory workers, as is also very common among long distance runners. Again, for the same reasons as tendinopathies the term “plantar fasciitis” should no longer be used and accordingly the term “plantar fasciopathy” is more appropriate. Plantar heel pain can present with or without a heel spur – a bony growth at the bottom of the heel bone – which is caused by a slight calcification of the plantar fascia. Evidence suggests that many people have painless heel spurs, and that regardless of their presence, the plantar fascia is still the primary driver of pain. Heel spurs are generally of less concern. Possible risk factors for plantar fasciopathy include inactivity, prolonged weight-bearing, high body mass index (BMI) and decreased range of motion of the ankle, foot and big toe joints. Although it can be quite a debilitating condition, the prognosis for plantar fasciopathy is positive, with 90% of cases resolving within 12 months with conservative treatment options like physiotherapy. The term ‘shin splints’ is routinely used to describe any form of shin pain, which arouses confusion as it may refer to any one of several potential causes of pain in the lower leg. Shin pain may be broadly divided into four categories. The first is ‘bony pain’, which may include stress fractures or bone stress reaction. An example of this includes Medial Tibial Stress Syndrome (MTSS), which many believe to be what the term ‘shin splints’ actually refers to. Recent evidence suggests that MTSS can be defined as a bone stress reaction caused be repetitive overloading. Unlike a stress fracture, where pain will present at one particular point on the shin bone, pain attributed to MTSS will typically be diffuse and widespread along the shin bone. The second category is ‘compartment syndrome’. Chronic Exertional Compartment Syndrome (CECS) includes any of the four main compartments of the lower leg (namely the anterior, lateral, superficial posterior and deep posterior compartments). Anterior (front) compartment syndrome accounts for almost half of presentations. 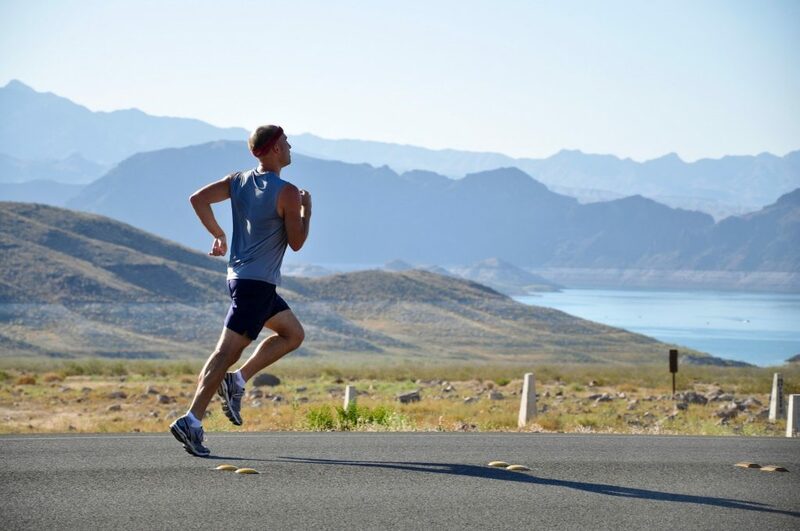 Symptoms generally include a tight, cramping pain in the lower leg at a very predictable point during exercise, which settles immediately with rest. Symptoms may also include pins and needles, numbness and muscle weakness. This condition may be attributed to the overload of a particular muscle group whilst running. The third category is tendinopathy. Tendons that can contribute to lower leg pain include the tibialis posterior tendon or any of the peroneal tendons. As discussed above it is known that tendinopathies respond favourably to early intervention, which is why it is important to get an assessment if you are experiencing pain along the inside or outside of the ankle. The final category is vascular/neural-related shin pain, which concerns either the nerves or blood vessels that run through the shin. This is a much rarer presentation in comparison to the other three categories. Nonetheless, it is critical to eliminate vascular or neural factors as contributing to pain. The first three categories can often be contributed to overload issues, in that the demands placed on the lower leg exceed its current capacity. 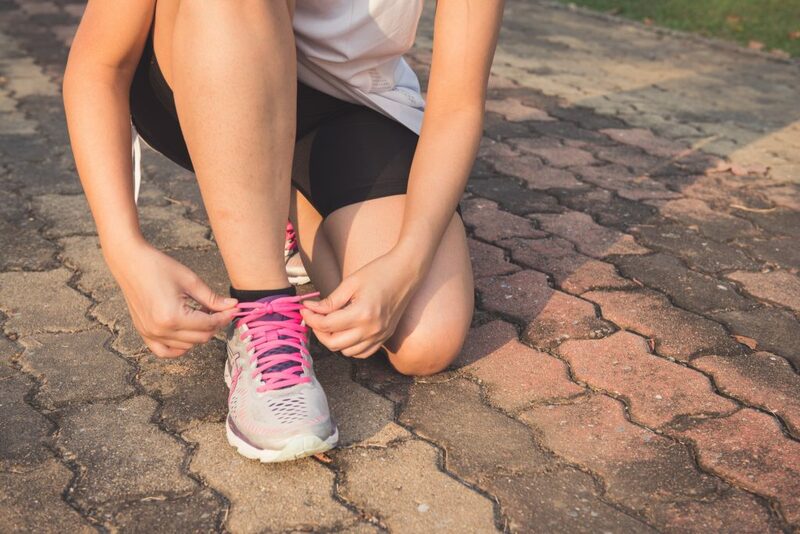 Due to the long list of potential causes of shin pain, it is important to get assessed by a chartered physiotherapist to identify the contributing factors unique to your condition. The potential causes of the common running injuries listed are many, but often overlap considerably. A common feature in the onset of all of the above is training error, whereby the demands placed on the body during training exceeds the current tissue tolerance level. Research suggests that 60-80% of tendon problems, for example, can be correlated to training error and sudden spikes in activity. Other potential factors that may contribute to these injuries include deficits in muscle weakness, movement, motor control, tissue flexibility, biomechanics and running technique. Although there will be subtle differences depending on the injury sustained, recovery from any of the above injuries will typically entail settling symptoms with a brief modification of aggravating activities, a period of rehabilitation to address the factors contributing to the onset of pain, before adopting a graded return to activity including running. With the right education, advice and management the adverse effects of these injuries can be mitigated as much as possible. If you would like to have an assessment with Mark Durcan – chartered physiotherapist specialising in lower limb rehabilitation, you can call Evidence-Based Therapy Centre on 091 727777 or get in touch via the contact page.